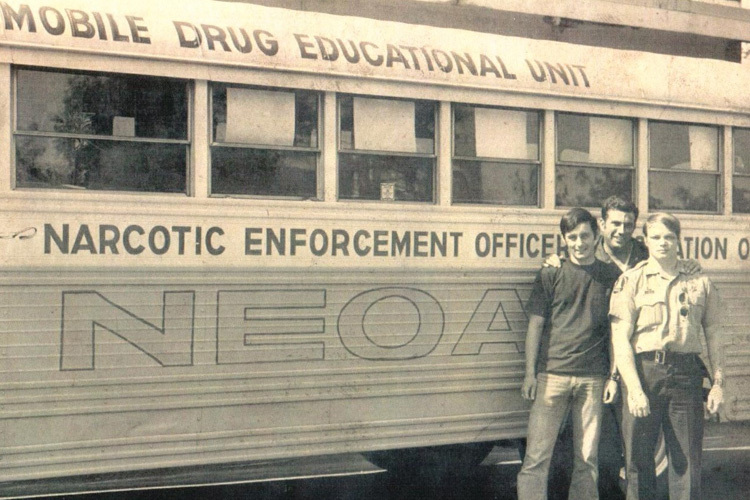 The Vernon Police Department started becoming more involved with specialized narcotics enforcement in the early 1970's, when Chief Dwyer worked to form a multi-jurisdictional task force to start combating the increasing "Vice" problems in the region. The task force was called the "Capital Region Crime Squad" (CRCS) and consisted of a large number of municipalities. They included: Vernon, Manchester, East Hartford, Glastonbury, Hartford, West Hartford, Middletown, New Britain, Bristol, and Bloomfield. Chief Dwyer oversaw the unit, with day to day operations guided by two lieutenants, Lt. Grant from Hartford PD and Lt. Reynolds from West Hartford, and a Sergeant, Sgt. 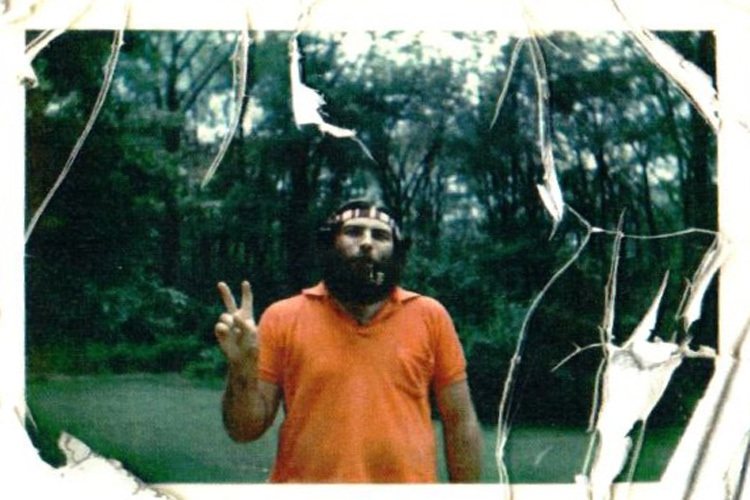 D'onofrio from Hartford. In total, there were seventeen people assigned to the task force, focused on Narcotics, Gangs, Prostitution, Nighttime Commercial Burglary's and Illegal Moonshine operations. The efforts were two-fold, in that the officers not only conducted undercover investigations, but they actively performed drug awareness and resistance education (DARE) training with parents and kids about the affects and hazards of illicit drugs. After several years of working narcotics cases in the region, the Vernon Police Department saw the need for a more focused effort on stemming the drug problem in Vernon/Rockville. The task force was disbanded by 1980, as the size of the task force was too big to provide the localized efforts each community needed. 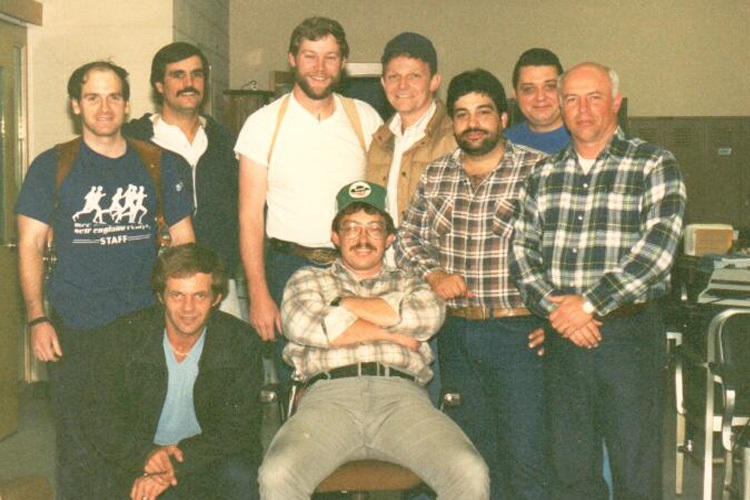 Then, in 1986, Manchester Police Lieutenant Russ Holyfield proposed the creation of a multi-jurisdictional task force to investigate narcotics activity in the Manchester, Vernon, and South Windsor area. This need was driven by the nexus between these three towns for major drug activity. 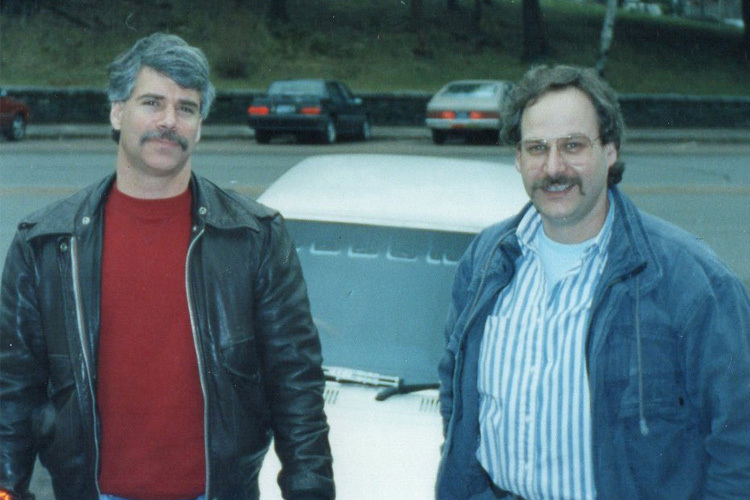 According to Manchester Police records, in July of 1986 Chief Lannan, of the Manchester Police Department, entered into a "secret" agreement with Chief Gary Kology of Vernon and Chief Gary Tyler of South Windsor, and formed the Tri-Town Narcotics Task Force (TNT). The task force included members from each of the three police departments. Each TNT member was sworn to all three towns, giving them arrest powers in the Tri-Town area. The unit was housed at the Manchester Police Department, and has been supervised by the Manchester Police Department since its inception. This task force was given the authority to work a narcotics case anywhere in the state, provided it could be shown the drugs were coming into the tri-town area. 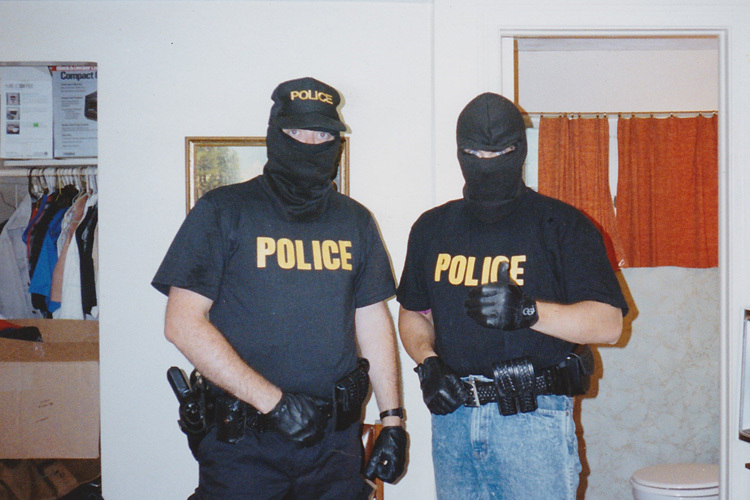 With the new localized narcotics task force up and running, Vernon began to rotate officers through, sometimes assigning two officers at the same time, to experience undercover drug work first hand. The successes of the program can only be attributed to the dedication and hard work of the many men and women who have been assigned to the narcotics task force. The early 1990's saw the United States in an explosion of criminal violence from the rapid formation of gangs profiting from the ease of turning cocaine into the more potent and addictive form of crack cocaine. A relatively inexpensive, small amount of powder cocaine could be turned into a wafer of crack the size of a man's hand, which in turn, could be broken down into pieces for resale that would earn thousands of dollars. The drug was highly addictive, and proved to be the drug of choice for gangs to sell. Rockville was not immune to this, as seemingly overnight our police department had to transition from a simpler time to combating this growing epidemic. As the Vernon Police Department began to identify the problem, and combat it the best they knew how, the only violence grew and gang members openly intimidated citizens. One gang rose to the forefront of this violence and drug sales. They called themselves the "Cash Money Brothers". They took their name from a movie of the time, but were otherwise imaginative developing various methods of selling to people without keeping their illegal product on their person. This imaginative method made traditional methods of catching a drug dealer in the act of selling their drugs difficult, but not impossible. Previously police had conducted search warrants of homes to seize drugs and their sellers. A new method of investigation was needed and the new method would require time, a commodity that was short as the violence was ever increasing. Vernon, Manchester and South Windsor officers assigned to the Tri-Town Narcotics Task force would use over the course of almost one year a half dozen undercover officers, risking their lives, and hundreds of hours of video and audio surveillance to form their case. It resulted in the arrest and conviction of all 28 gang members. The two leaders of the gang would be arrested for Racketeering, under the Racketeering, Influenced and Corrupt Organizations Act (RICO), a first for this small town. One of the largest drug seizures in the department history occurred in 1998 on Dart Hill Road in Vernon. 1200 lbs of marijuana was discovered in a parked tractor trailer, in the area where Quail Crossing stands today. After several weeks of surveillance, to see who would retrieve the drugs, and no one returning, the DEA and T.N.T. seized the contents of the trailer, removing $2,000,000 ($10 a gram in street value) worth of marijuana off the streets. The Task Force catchment area expanded in 2000, with the inclusion of the Glastonbury and East Hartford Police Departments. The task force changed its name, and was now called the East Central Narcotics Task Force (ECNTF). They covered an area of 145.4 square miles and a residential population of approximately 190,000. The East Central Narcotics Task Force has proven to be highly effective in combating narcotics violations, as well as helping to reduce incidents of violent crime within the region. 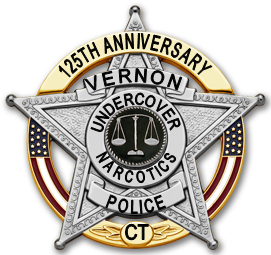 In September of 2006 the Vernon Police Department pulled out from the East Central Narcotics Task Force, as did the East Hartford Police Department and both joined with the North Central Office of the Statewide Narcotics Task Force (SNTF-NC). Officer Steve Langlias served from September 2006 until July of 2008 with CSP Statewide. Officer Charles Hicking took over for Officer Langlais in July of 2008 serving with CSP Statewide until Feburary of 2009 when Vernon saw the need for a localized narcotics enforcement effort, and the Vernon Police Department rejoined with the East Central Narcotics Task Force. 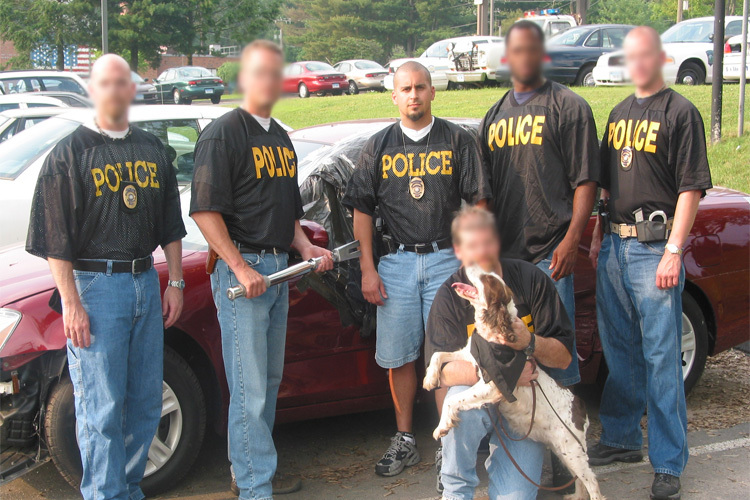 In 2010 the East Central Narcotics Task Force was moved out of the Manchester Police Department and located at an off-site facility, helping to further the undercover officer's ability to remain anonymous. The team is comprised of a Manchester Sergeant, two Manchester officers, one Vernon Officer, one South Windsor Officer, and one Glastonbury Officer. 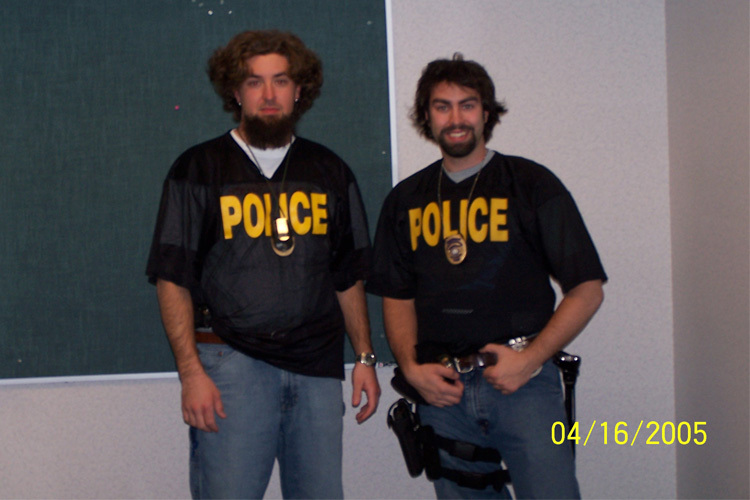 Additionally, a Manchester Detective is assigned to the Hartford DEA office, and a Vernon Officer is assigned to the federal DEA New Haven District Office – Tactical Diversion Squad. We hope you learned something about the undercover narcotics division! Thanks for visiting! If you have any drug information or annoynmous tips that you wish to pass along, feel free to contact us!